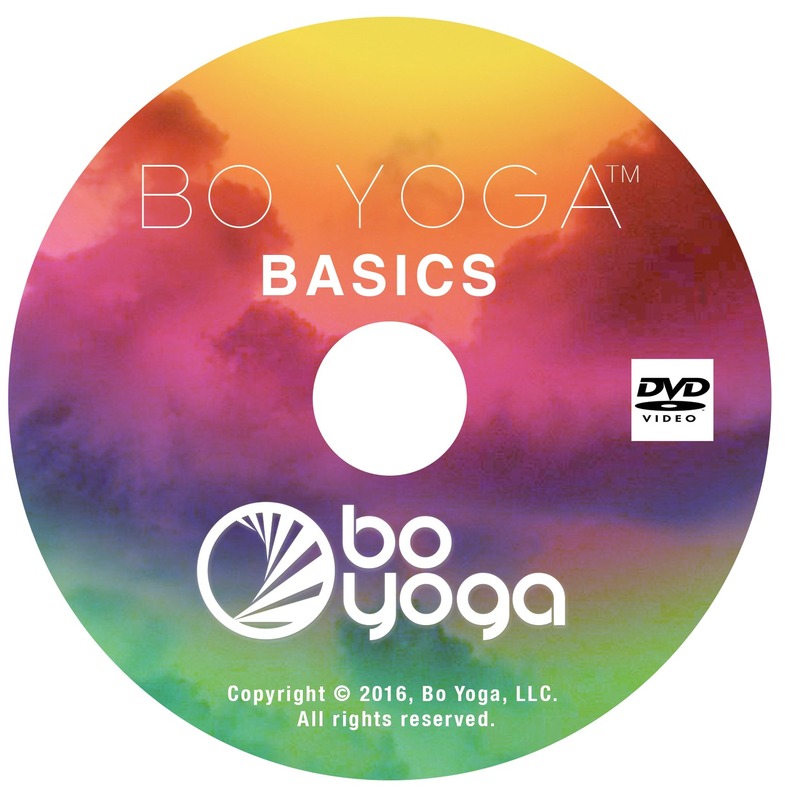 Bo Yoga Basics blends the best of yoga, balance training and mindful movement into a comprehensive system that is easy to learn and fun to practice. The revolutionary tool of Bo Yoga is the Balance Bar; a stable and flexible prop which assists with balance, stability and range of motion, making Bo Yoga safer, easier and more effective than traditional training methods. Bo Yoga helps you create a strong, flexible body and cultivate a positive attitude and a clear mind without the long hours in a gym or the high cost of a personal trainer. 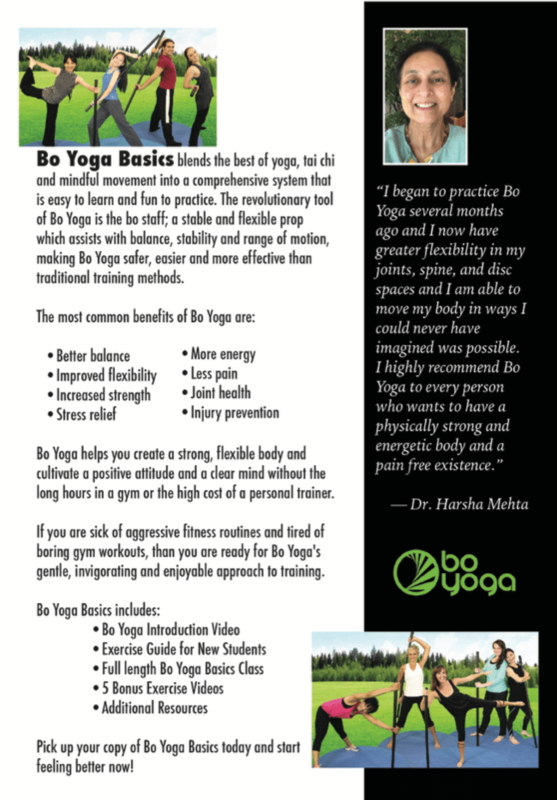 If you are sick of aggressive fitness routines and tired of boring gym workouts, than you are ready for Bo Yoga’s gentle, invigorating and enjoyable approach to training. 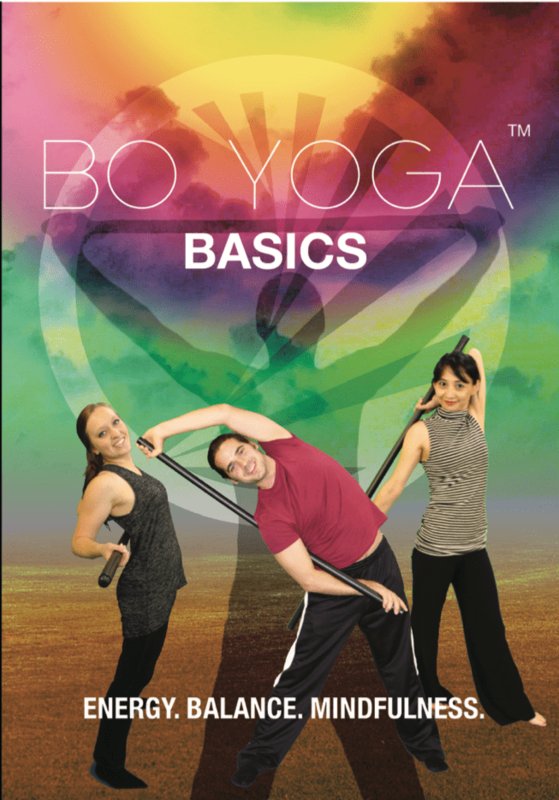 Pick up your copy of Bo Yoga Basics today and start feeling better now! Don’t have or use a DVD Player? Prefer a Digital Video that you can watch on any device, anytime, for life? Input the code: DIGITAL at checkout and get 20% off the price for a digital version of this DVD.